Do you suffer from panic and anxiety attacks? If so, you are NOT alone. It is said that just over 35% of the population will experience anxiety at some point in their life. I suffered for ten long years until I finally found the answers that led me to recovery. So, yes, anxiety is treatable and no matter how many false dawns you’ve had so far, you don’t have to “just live with it”. I am not going to ramble on about how easy it is and offer you the latest miracle cure; I will leave that to others. I did not want this to be just another website on anxiety; I wanted it to be the last place anybody would need to visit in search of recovery from anxiety and panic. I also genuinely want to help others. There is no better feeling than changing someone’s life for the better. I also understand, through my own experience, what an awful, lonely place it can be. Let me introduce myself. 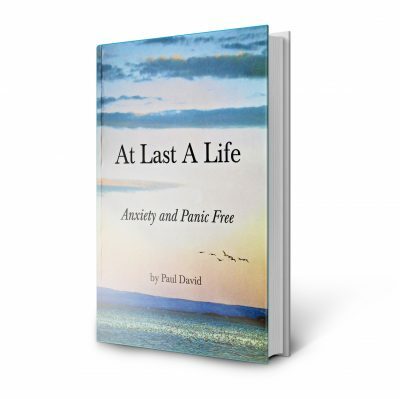 My name is Paul and I suffered from every aspect of the anxiety and panic disorder for continually years until I reached the point where I thought I could never recover. I would often experience feelings of fear for no reason and suffered chronic anxiety until I could no longer function properly. I was constantly depressed and had no interest in life. I also suffered from depersonalisation, which brought on feelings of unreality to the point I honestly thought I was going mad. Intrusive thoughts would race around all day, making me feel completely locked in my mind. I just felt as if I was walking round in a dream while the world passed me by; I lost my job, many friends and, more importantly, it robbed me of my whole personality. What had happened to that once confident person who could enjoy life? This period of my life was the start of ten years of being seen by one doctor after another, one therapist after another, so-called experts that just read from a medical manual and taught me nothing at all. In fact, I never even got an explanation of what was wrong with me. I spent more money than I care to remember on so-called miracle cures. I tried every anxiety treatment available to me, and nothing worked. If only I had known then what I know now, I could have saved myself all those years of suffering. My recovery from anxiety came because I refused to give up hope and left no stone unturned in finding a way out of this condition. Some of the information I gained was gathered from different sources, however, the majority of my recovery was due to my own insights and truly understanding how the mind and body work. Once I finally understood this condition, I was then able to fully recover and become the person I am today. It was after my recovery that I went on to write my best selling book on anxiety ‘At last a life’. The book has recently been published abroad and continues to get excellent feedback with many doctors and therapists recommending it to their patients and is now also on prescription at selected surgeries and also has tremendous feedback on Amazon. So many people who have read it tell me how much it has changed their life, many in the public eye. Here are just some testimonials from such people. I chose the title to my book “AT LAST A LIFE“ as it summed up recovery for me because I finally had my life back. Not only did I want it to give others a full understanding of anxiety and panic, but also to help them understand why they feel like they do and what is keeping them in the cycle. I also wanted it to come from someone who had actually been through it and who could relate to how you are feeling. Although the book contains far more information than there is on the site, I have added many pages that cover all aspects of the condition and the many symptoms of anxiety you may be experiencing. I also have a very active Facebook page with over 10,000 followers and also run a blog on anxiety where people contribute to help others. You can also follow me on other social media outlets by following the links at the top of the page and find more about me on my about me page. Finally, you can sign up to my newsletter under the main menu on this page. This is mainly to keep people up to date with new posts and articles that I write and not to sell anything. Your email will also never be passed on to a third party. I do hope you enjoy my site. I dedicate it to all sufferers of anxiety and panic in the hope that in some way it helps give some answers to your symptoms and the way you feel.